Over the years, I've experienced truly bizarre and fantastic things through the medium of video games. When I was a child, I explored fantasy worlds as Italian plumbers and a menagerie of anthropomorphized animals. As a teenager, I was a street fighter through Street Fighter and fought Hitler's army more times than I can count in first person shooters. Even as an adult, I've witnessed games that create immersive fantasy worlds that would have made my younger self faint, but only elicit minor excitement now. 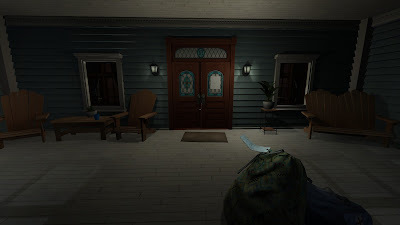 Why then, with all this amazing escapism, am I most impressed and enchanted with a video game where you explore a large but mundane suburban home? Gone Home is that game, and it's one of the most refreshing experiences I've had in a long time. 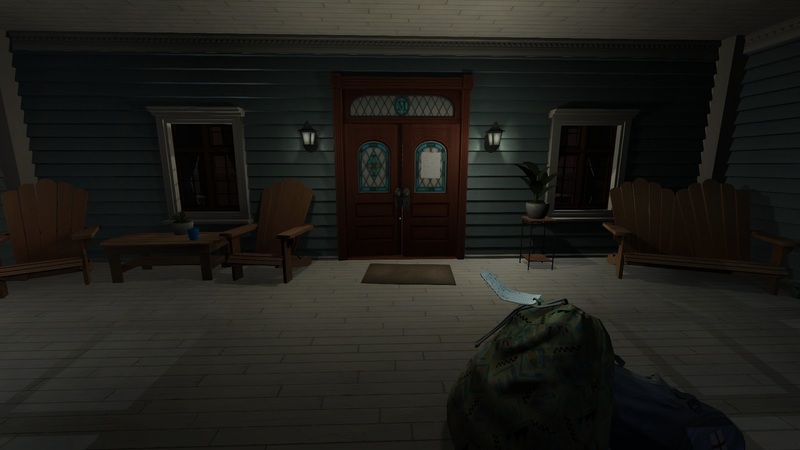 Unlike most of those other games, Gone Home is an experience that uses interactivity to best tell its story. Set on a stormy night, it opens with your arrival home after a year away in Europe. The rest of the family has moved into a new home, dealt with personal issues, and generally changed without your knowledge while you were away. Walking into the house, you find it empty with only a cryptic note from your teenage sister to greet you. To reveal much more would spoil the experience. This is a video game that includes no combat, no health bars, and no ways to fail whatsoever. The only things slowing your progress are locked doors that help guide the experience. The only goal of the game is to explore the house and learn what has become of your family, especially your sister. This sounds like the set up for some type of horror story, and most games would lead to mutilated bodies and horrifying revelations. The game even plays with these assumptions, hinting at supernatural mysteries that are only red herrings. This increases the tension initially, but also allows the sweeter, and sometimes darker, stories underneath time to grow. No spirits attack through the walls or jump from closets, but this house does have a history that haunts it. Almost every object in the home can be picked up and examined, and many of these items tell a story. These items are often documents or letters written with excellent attention to detail and authenticity. Sometimes, simple objects tell an important piece of the story, like a hidden bottle of alcohol or stack of unsold books. The process of discovery allows the story to unfold organically, but also allows the player to invest themselves into the story. While your sister's voice narrates certain moments through diary entries, these moments only happen after you've already discovered the relevant item or note. There's no reason to continue forward other than to learn what happens, so your investment in the experience is entirely built into the story, not a high score or the next action sequence. 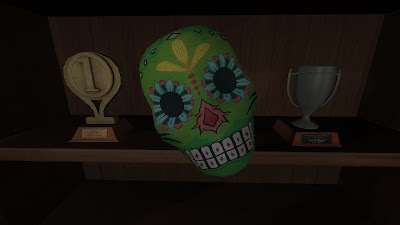 This is a game about discovery that tells a tale of self-discovery. It's been a long time since an experience, whether game, book, or film, has touched my mind and memories in such a strong way. The story is not complex and describes a very specific experience, but is genuinely human enough to make it easy to relate. I began to react to what happened to these characters through the lens of my own experience, and at certain moments my emotions and the character's emotions merged without me consciously realizing. For example, the game lets you carefully replace each examined item, though you can simply drop them to the floor if you wish. I spent the entire game carefully replacing every object, until after a certain diary entry describing a family confrontation. I then found myself purposely chucking items across the room after looking at them. Then, after a while, I returned to placing things back in their proper spot. I didn't realize until later that the diary entry had not only made the narrating character angry, but had also made me angry because it resonated with something from my own life. I was throwing those items in retaliation against the characters who angered the narrator and against those who angered me in my life. There was no reason to be careful with objects or to throw them, no punishment or reward of any kind. My behavior was simply a reaction to the story, something that had immersed me more than shooting faceless legions of enemies or fighting armies of ogres ever could. 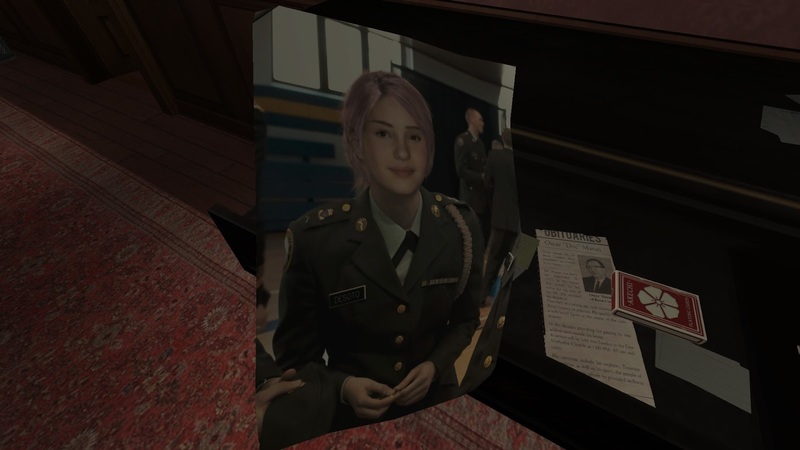 Gone Home is not the greatest video game, nor will it revolutionize the medium by itself. However, it's another wonderful example of a game that creates a coherent experience focused on telling its story in the best way possible. It's a direct refutation to the idea that games have to focus on action, or bloat their length with unnecessary combat, to justify their existence. 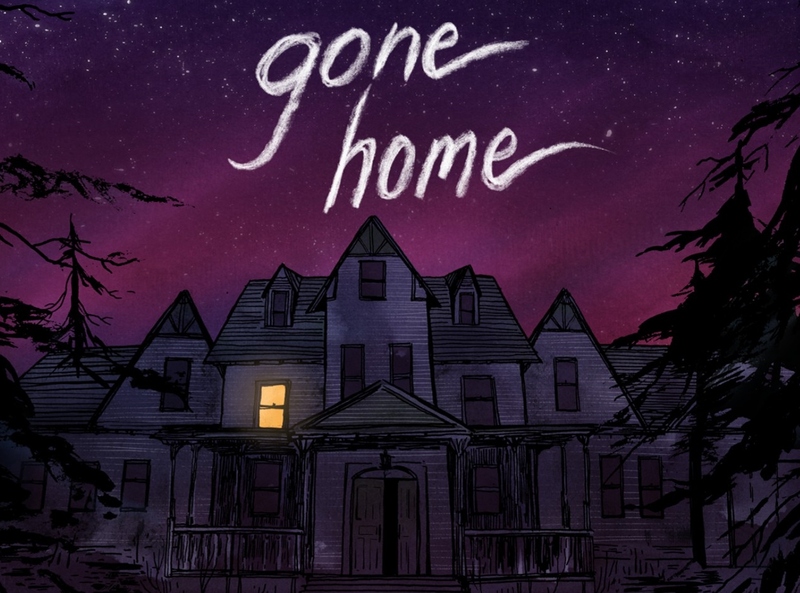 The two hours I spent Gone Home were worth more than the numerous hours combined I've spent with most games this year.